I’ve finally got my hands on a OnePlus 6 (shipping errors apparently?) and so I was able to get a complete walkthrough for you guys. 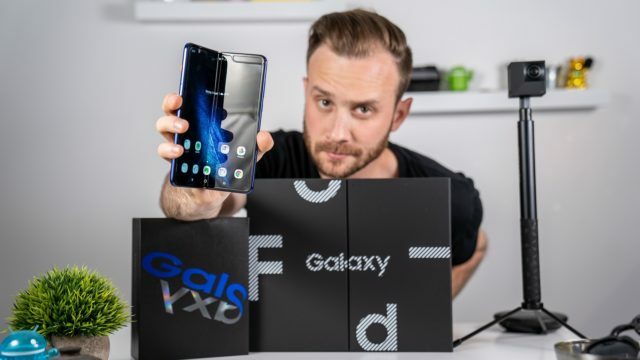 If you are new around here, a complete walkthrough is where I try and go through as many features as possible to give you guys as much info as possible in case you are thinking about maybe buying the device. I’m also trying to improve these so please let me know in the comments below about other things you’d like to see in a phone walkthrough or what you’d like me to remove that you don’t think is necessary, etc. With that said, there’s a lot to go over so let’s start with the hardware. 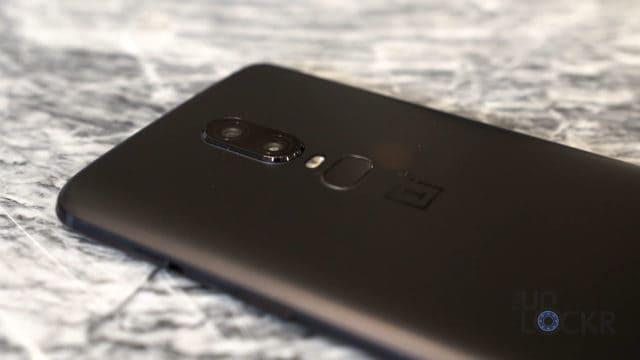 The OnePlus 6 is made out of glass on the front and back with an aluminum frame. It comes in three colors this time. 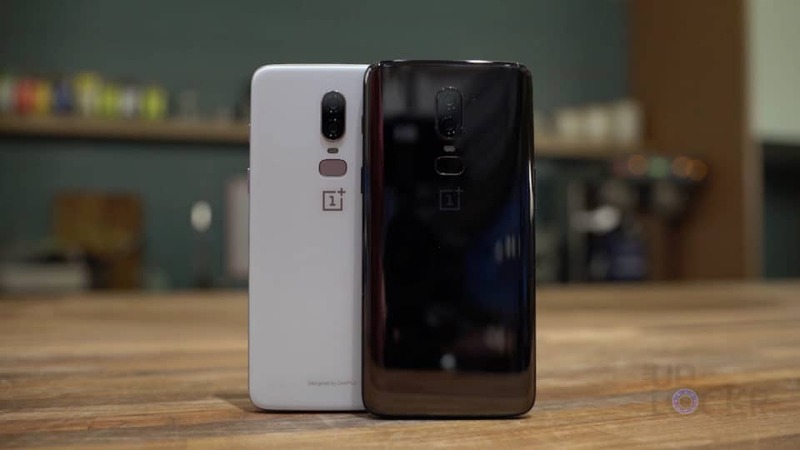 Midnight Black (matte black basically), Mirror Black (think the name is pretty accurate on that one), and Silk White (which is white and gold with a hint of pink, but not quite rose gold to me). The Matte Black and Silk White aren’t too bad of fingerprint magnets really, but the Mirror Black definitely is. The more important thing about the colors than whether you can see where your fingers have been is that on this model the sort of designate what specs you got. 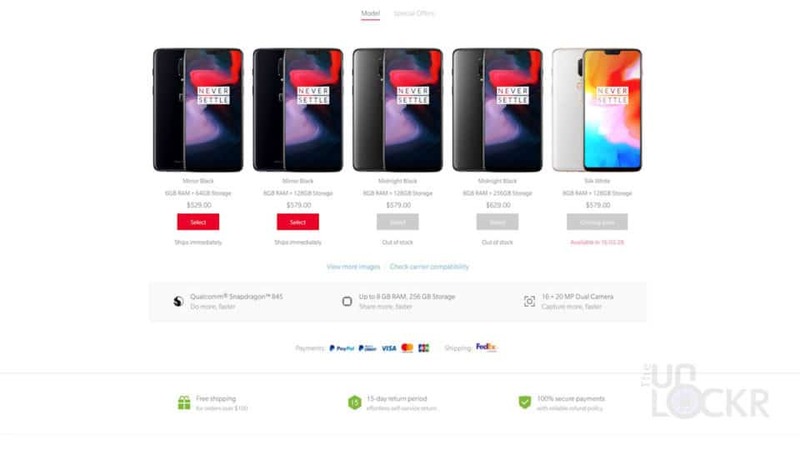 The Mirror Black color is available with 6GB of RAM/64GB of storage and 8GB of RAM/128GBs of storage, the Midnight (matte) Black comes in 8GBs of RAM only with the choice of 128GB and 256GB of storage, and the Silk White only comes in one SKU variety with 8GBs of RAM and 128GBs of storage. 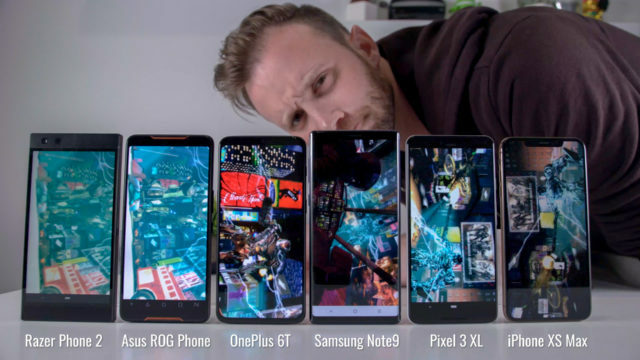 Not that if you went with any of the models you’d be wanting for more performance as even 6GBs of RAM is on par or higher than most smartphones out and 8GBs is definitely higher than a large percentage out there. The thing that this does mean, however, is that if you like the Midnight (matte) Black or Silk White, you’re forced to get 8GBs of RAM and at least 128GBs of storage for a $50 upcharge. Personally, worth it I think, but something to note. 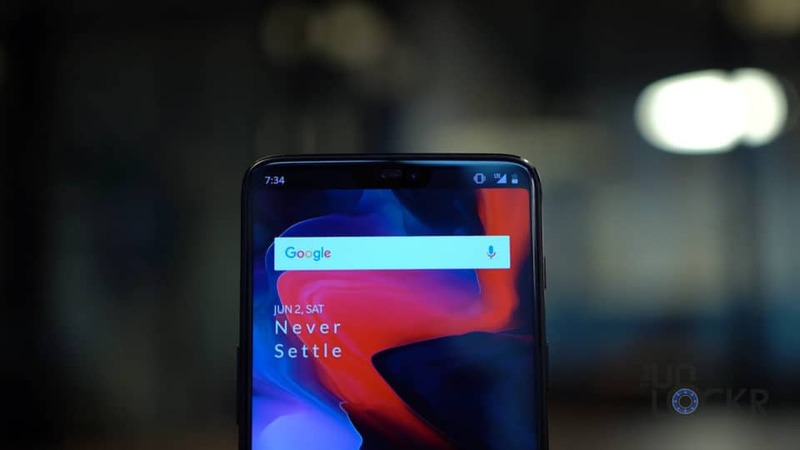 The screen of the OnePlus 6 is a 6.28″ AMOLED 19:9 2280 x 1080 pixel resolution screen with a notch. 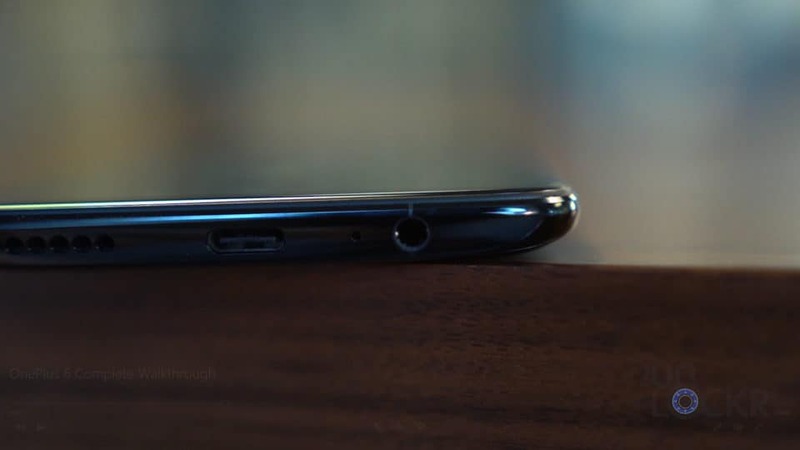 Just like Huawei and Honor though, they had the wherewithal to put their own software setting in to hide the notch by turning the surrounding area black to camouflage it a bit (this also stops other apps from being able to put content within the notch, as well, instead using it for the status bar only). 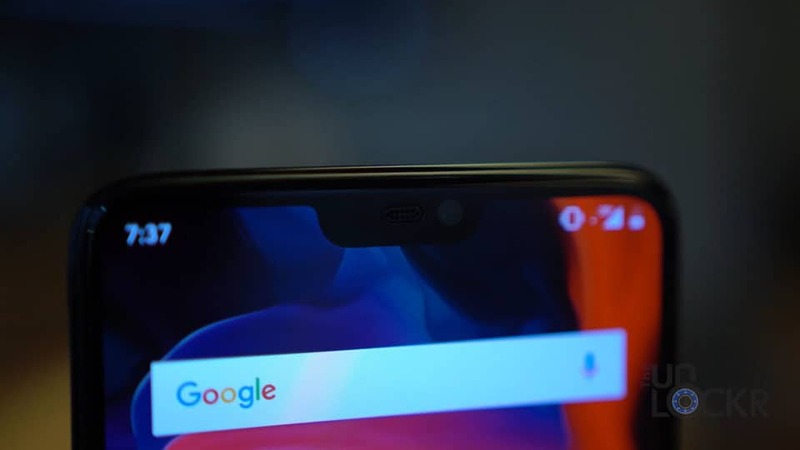 Above the screen in the notch, we have a 16MP f2.0 front-facing camera. 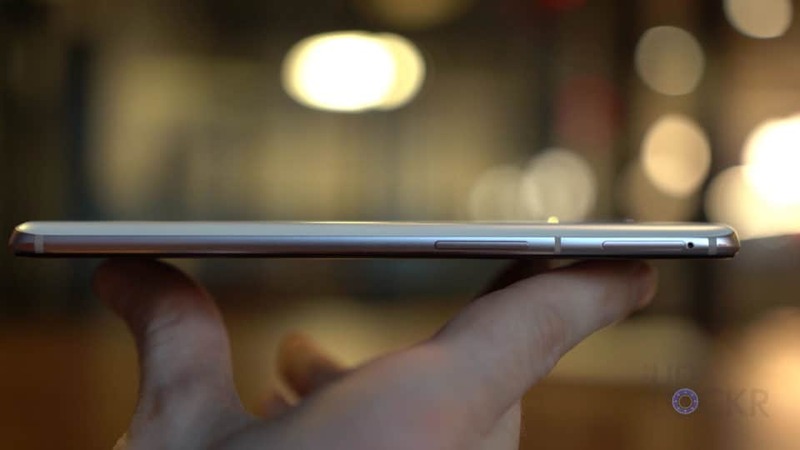 Below the screen, we have… nothing but a thin bezel. 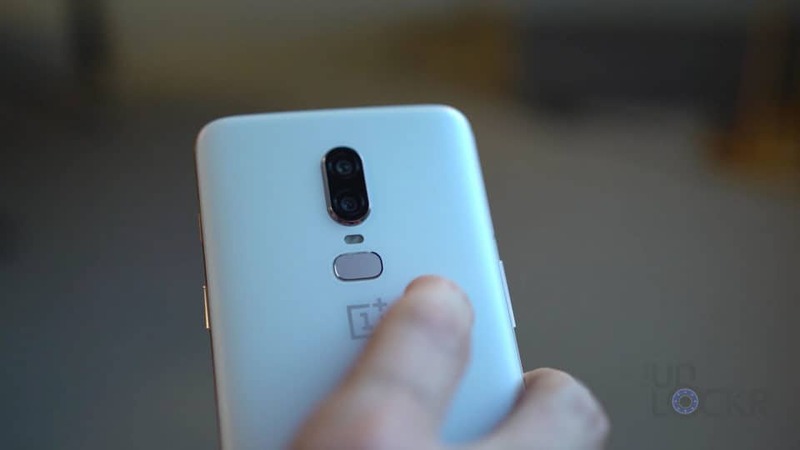 On the right side, we have the usual notification slider we’re used to on OnePlus devices that can be set from ring, to vibrate, to mute and our power button that can also be double tapped to get to the camera quickly (a small feature I really appreciate on phones that have it). 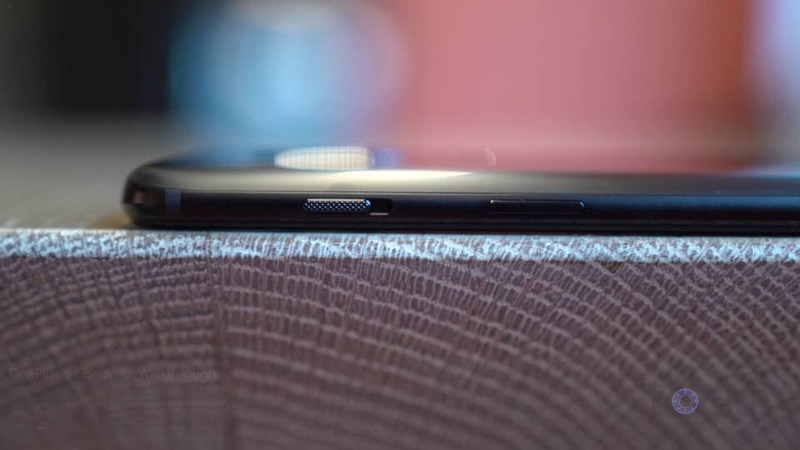 On the left, we have our volume rocker and our dual SIM card slot. 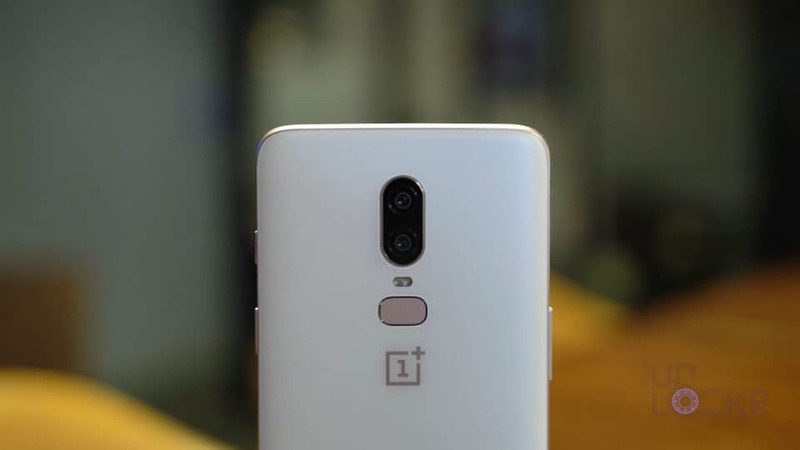 There is no MicroSD card slot on the OnePlus 6. 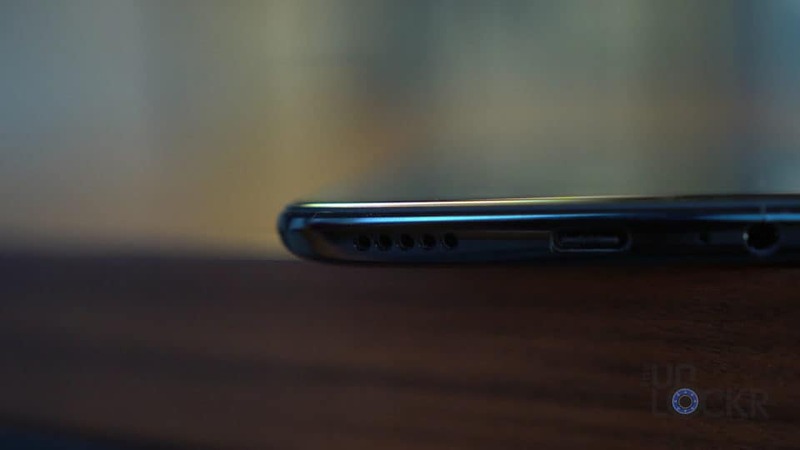 At the bottom, our USB-C charging port that utilizes OnePlus’s Fast Charging that they claim can charge the phone to 60% in 35 mins (fun fact: you’ll notice Dash Charging as it was called on the OnePlus 3 way back when is no longer mentioned on the OnePlus stats page but is still on the charger. 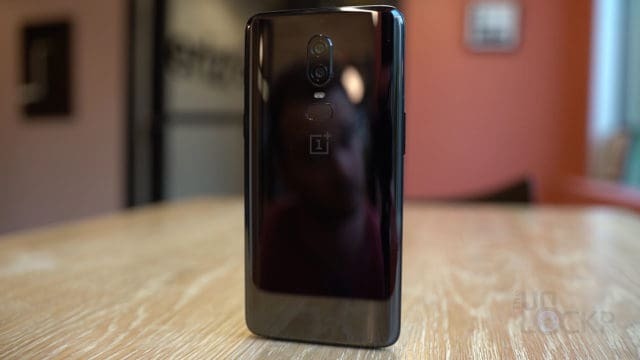 OnePlus said this was due to an EU trademark dispute but that it is the same technology they’ve been using). 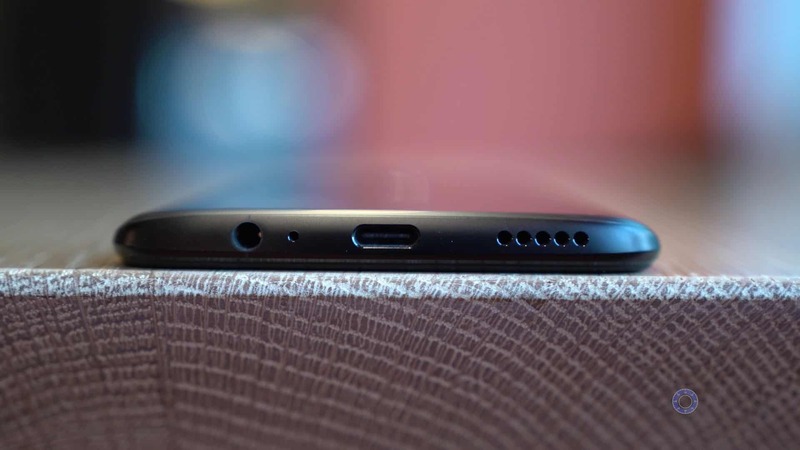 Next to the USB-C port is the 3.5mm headphone jack we’ve come to expect from OnePlus that they said at their last OnePlus event they wouldn’t remove until more headphones supported USB-C.
And finally on the bottom, we have our speaker that is tuned by Dirac with their Dirac HD Sound controller which basically means OnePlus sent them the device and they tuned it to sound better using their own algorithms and Dirac Power Sound which has Dirac attempt to correct small speakers (like those found in phones) frequency and impulse response and optimization the bass. On the back, we have our fingerprint sensor in the center under our dual LED flash and dual cameras (that we’ll talk about in a minute). 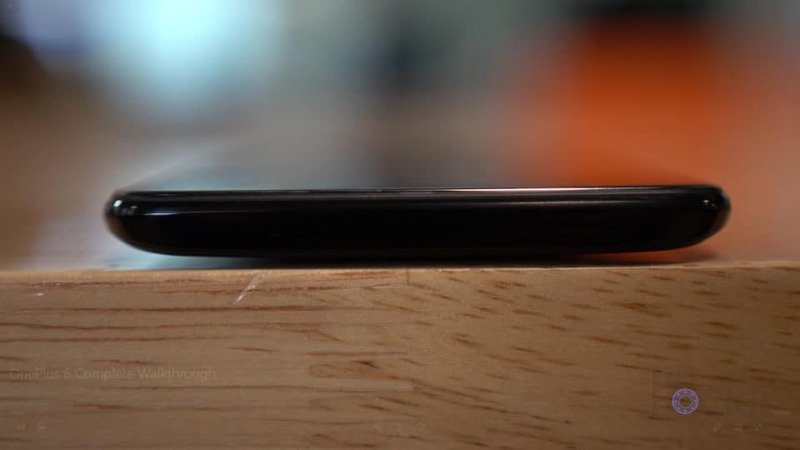 The device follows the same “horizon line” that OnePlus has incorporated into their design language for a while now and it means it has a nice curve to it that makes it sit nice in the hand. 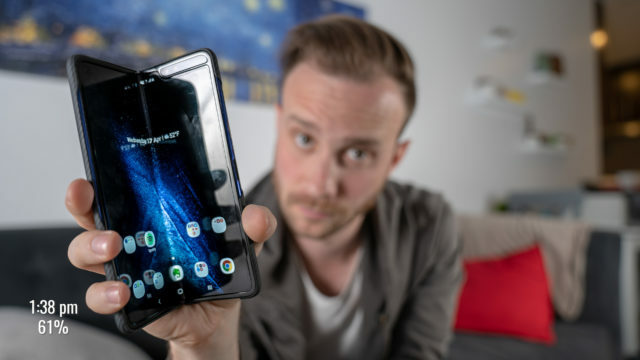 It also weighs 6.24 ounces which is a bit heavier than the Samsung Galaxy S9 and LG G7, but lighter than say the S9 Plus and gives it a nice enough weight to make it feel premium. On the inside, we have the Qualcomm Snapdragon 845 processor paired with either 6 or 8 GBs of LPDDR4X RAM depending on the model as mentioned already. 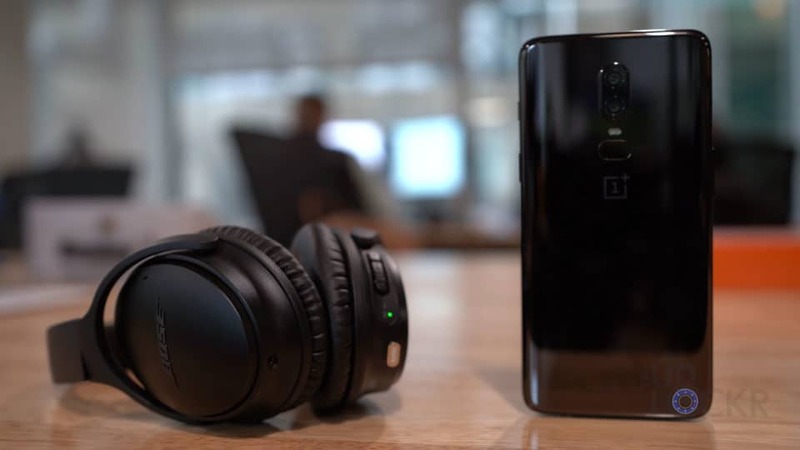 It has Bluetooth 5.0 with Qualcomm AptX HD for higher bit-rate audio over Bluetooth, supports Gigabit LTE for faster data speeds where available, and is powered by a 3300mah battery. 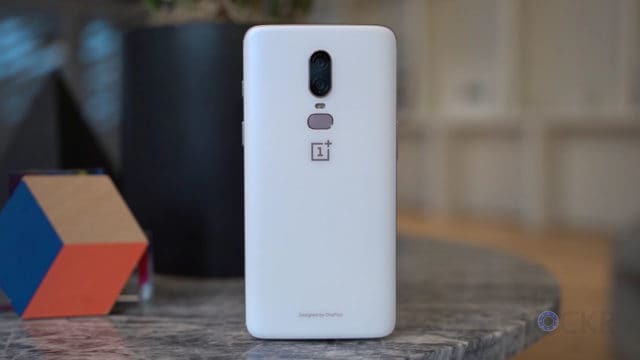 Now, here’s where I normally go through all of the software that the manufacturer has installed on the device, but instead of just listing the apps, I’m going to show you some of the more stand-out features that OnePlus has added software-wise to the OnePlus 6 (let me know if you prefer this better or would rather I just list apps like before for the next one). First, though, the device is running Android 8.1 with OnePlus’s UI skin on it called OxygenOS (version 5.1.5 at the time of writing this). 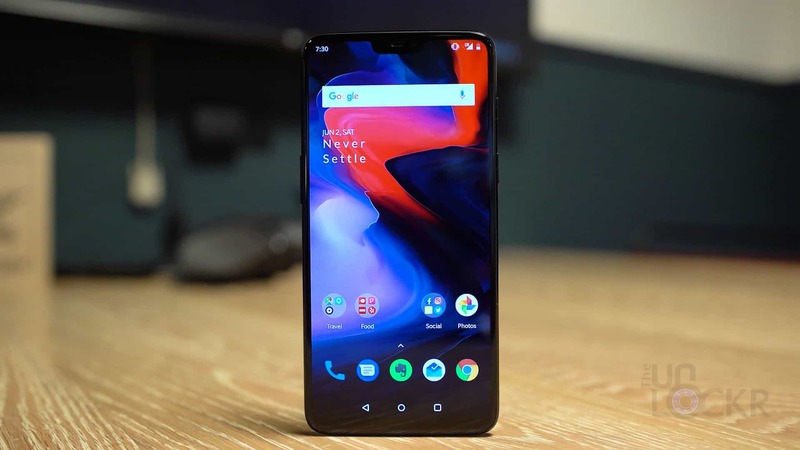 The thing that everyone really likes about OxygenOS is the fact that it is very similar to stock Android but adds some serious optimizations that make it even faster (and why it wins every speed test ever). In addition to the optimizations, they have also added a few, non-intrusive new features. Here are a few of the most useful. Reading Mode: This detects the lighting in the room you are in to adjust the color temperature of the screen (similar to Apple’s True Tone feature) and is supposed to make it easier to read and prevent eye strain. You can set it to specific apps to get it to only launch for those apps (i.e. Kindle), or add it to the notification shade and toggle it there for the entire system. Gaming Mode: Blocks notifications while enabled so you can, for example, play a game without the floating notification popping up over the game and causing you to miss the shot. 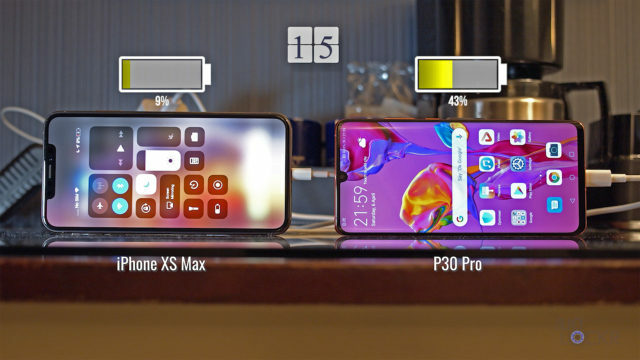 You can also use it to lock screen brightness, limit other apps from using the internet to give more bandwidth to the game, adjust the resolution and framerate of games to increase battery life as well as route incoming calls to speaker automatically so you can keep playing while answering a call. Also, like Reading Mode, you can add certain apps to automatically launch it or activate it manually from the notification shade. 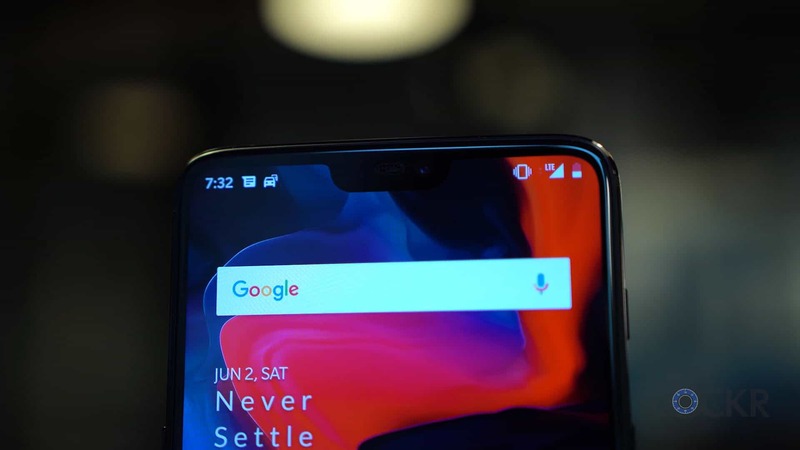 Navigation Bar & Gestures: OnePlus has the usual options to remove the on-screen navigation bar at the bottom of the phone with a button you can add and use to toggle it on or off, but they also went a step further borrowing a similar gesture model from Android P (and potentially the iPhone X). You can turn on Navigation Gestures to then remove the navigation bar and swipe up from the bottom of the phone to go home, swipe up and hold to get to multitasking, and swipe up from either side of the bottom to go back. Press Power Button Twice for Camera: As I briefly mentioned before, you can double tap the power button to quickly open the camera. You do need to enable this though in the Buttons section of the Settings as it’s not enabled by default. It’s something small that I really like. 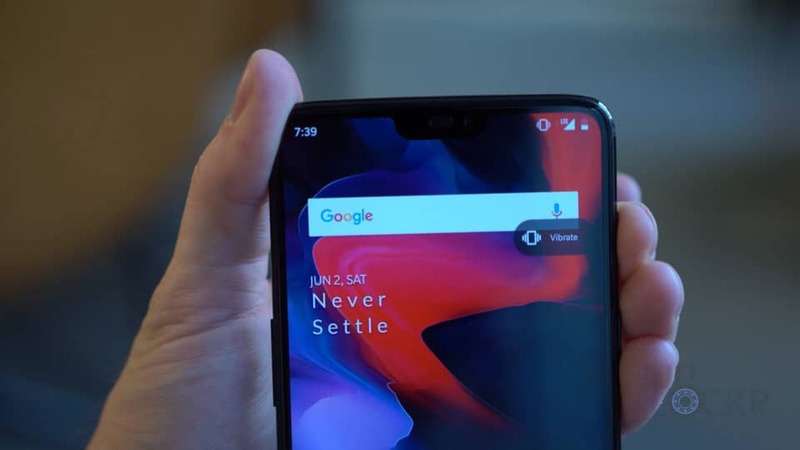 Long Press & Double Tap Actions: OnePlus has also added options to have actions happen whenever you long press or double tap on either the Home, Recents, or Back buttons. 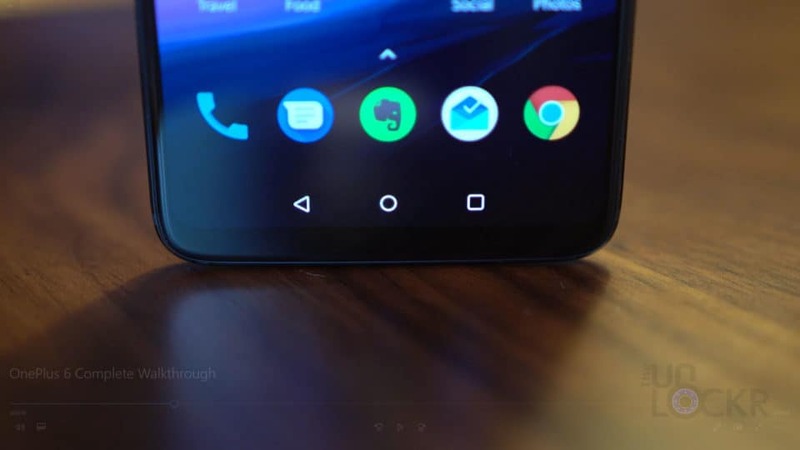 Gestures: In addition to the double tap and long press options, they have gestures that you can use as shortcuts for things as well. 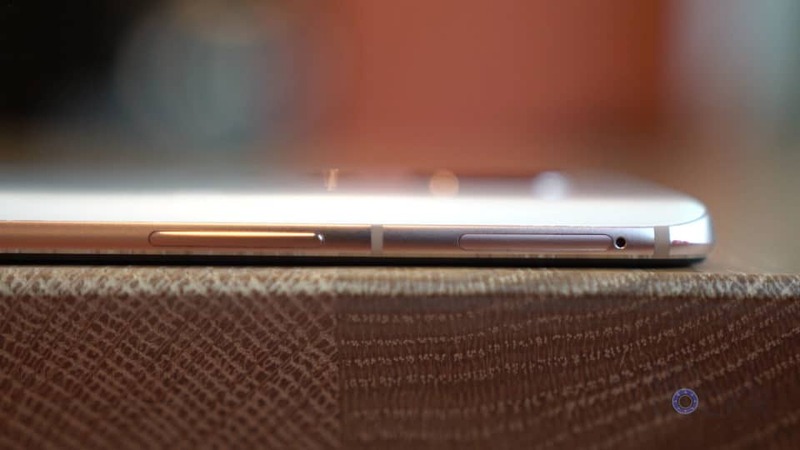 You can long press on the fingerprint sensor to take a photo (handy for selfies), flip the phone over to mute it when ringing, swipe three fingers across the screen to screenshot it, and some screen off gestures. While the screen’s off you can double tap to wake it (something I turn on because it’s handy when the phone has no buttons on the front to wake it up with), draw two lines down to pause or play music or a greater than or less than sign to go back or forward a track, and you can draw an O, V, S, or M to launch different actions you can choose from. Face Unlock: Which is pretty quick actually. Smart Lock: Let’s you choose certain scenarios to keep the device unlocked like when it’s near trusted devices, at a trusted location, it can tell it’s on your body or if it hears your voice. App Locker: Allows you to select specific apps that will not open unless the pin for the device lock screen or fingerprint are used (they then stay unlocked until the phone screen goes off again). Which brings us to the rear cameras. We have a 16MP f1.7 aperture optically and electronically stabilized main camera and a 20MP f1.7 aperture secondary one camera. Timer: You can choose between 3, 5, and 10-second delays. Smile Timer: If you are using the front-facing camera, the timer is replaced by a smile timer that will take a photo either 2 or 5 secs after it detects a smile in the frame. Aspect Ratio: Options here are 4:3, 16:9, and 1:1 (aka square). Flash: Basic flash controls for on, off, or auto. Swiping up on the viewfinder gives us the following modes. Video: You can choose from 720P in 30fps, 1080P in 30fps, 1080P in 60fps, 4K in 30fps, and 4K in 60fps. Photo: Our normal auto mode. Portrait: Takes a subject and uses software to give a better bokeh effect behind them. Slow Motion: You can shoot in either 1080P at 240fps or 720P at 480fps. Which is really slow for it allowing you to record this continuously. The other devices on the market that let you do 960fps only let you do so in 0.2-second bursts and then usually only have 240fps as an option for continuous slow-motion shooting. Pro Mode: As we’re used to, this lets you adjust camera settings manually like ISO, shutter speed, white balance, etc. Time-Lapse: This shoots at lower frame rates for a sped up video when done and can be shot in 1080P or 720P (not sure if there is a difference in speed with either though as it doesn’t seem so). Panorama: Also, what we’re used to seeing that lets us take a photo and move the camera right or left and it’ll stitch them all together to create a much wider panoramic photo. Quick Capture: This will have the camera automatically fire off the shutter whenever you double tap the power button to launch the camera. Rear Camera Beauty Mode: This applies beautification mode to the rear cameras instead of just the front one. Never. Turn. This. On. Invert Photo: Lets you invert the photo when shooting with the front camera to more mimic a mirror. 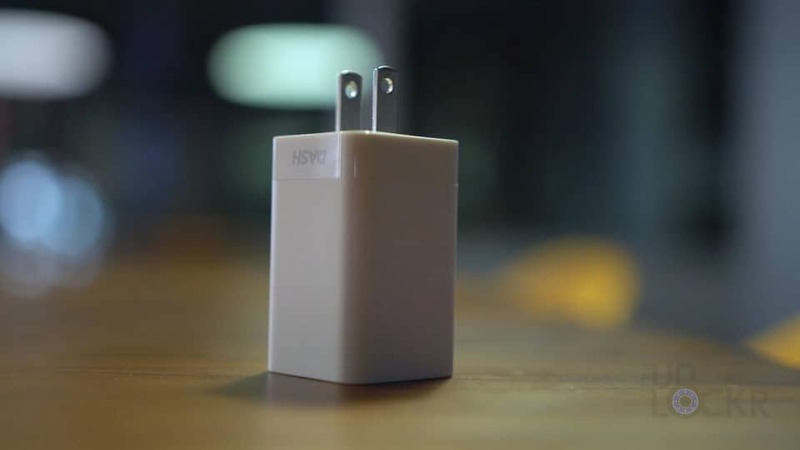 Save Normal Photo: This will save a normal photo along with the bokeh-enhanced photo when shooting in Portrait Mode. Histogram: In Pro mode, this will show a histogram on the viewfinder for exposure. Horizontal Reference Line: Also in Pro mode, this will show a line to help you horizontally align your photo. And that is that. 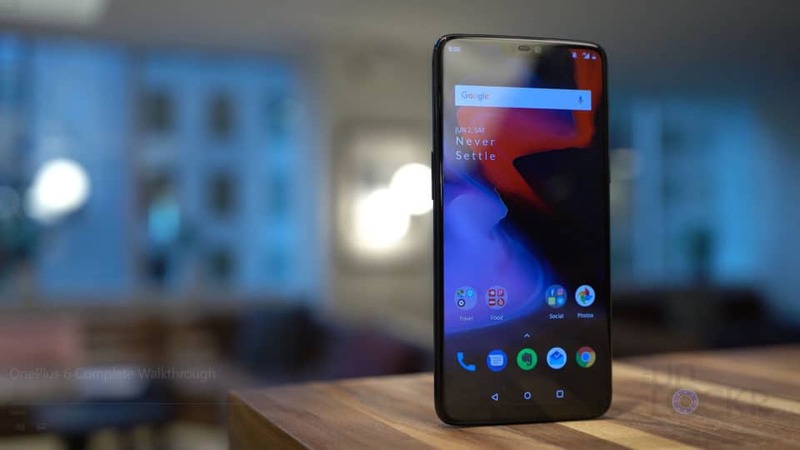 Let me know what you guys think of the OnePlus 6 and my walkthrough of it (anything I should add or remove from walkthroughs in the future? ).